China’s Commerce Ministry announces bans on imports of gold, coal, and iron from North Korea. On April 4, China’s Commerce Ministry released an announcement listing new restrictions on trade with North Korea, including bans on imports of gold and rare earths and on exports of rocket fuel. The restrictions come almost exactly one month after the UN Security Council passed Resolution 2270, implementing new sanctions on North Korea in response to its January 6 nuclear test and February 7 satellite launch. The Commerce Ministry announcement began by noting the embargoes were intended to implement “the relevant resolution” by the UNSC. Although there were previous indications that China was slowing trade with North Korea, this is the first official outline of new trade restrictions in response to Resolution 2270. Notably, the new document completely bans imports of North Korean gold, titanium, vanadium, and rare earths. China also banned imports of coal, iron, and iron ore, with two potentially large exceptions. Under one exception, imports of these materials – North Korea’s top exports – are permitted if the trade is “determined to be completely for the purpose of the people’s livelihood” and does not generate revenue for North Korea’s nuclear and missile programs, or other activities blacklisted by UN sanctions. That fits with previous comments from China’s Foreign Ministry that exports of coal and iron “that are deemed essential for people’s livelihood and have no connection with the funding of the DPRK’s nuclear and missile programs will not be affected.” How broadly this exception is interpreted – and how directly exports must be connected to North Korea’s military endeavors to be banned – will go a long way toward determining the overall effectiveness of the sanctions. 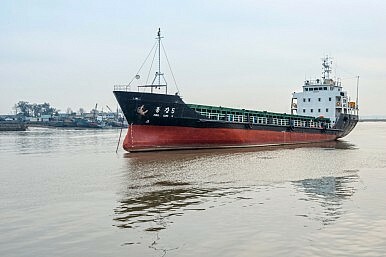 The second exception allows for China to continue to import coal from third party countries that is simply transiting through North Korea’s Rason port. Reuters notes that Mongolia has an agreement to ship commodities via Rason. Here, lax verification procedures could provide an easy way around the sanctions – which may explain the cumbersome approval procedure (involving the local and central Commerce Ministry, plus the Foreign Ministry) laid out in the announcement. Finally, the Commerce Ministry announced a ban on rocket and jet fuel exports to North Korea, again with two exceptions. Jet fuel used to “satisfy basic humanitarian needs” is permissible, with the caveat that such exports will require “effective monitoring of the circumstances of transport and use.” Also allowed is the sale of jet fuel to civilian jets located outside North Korea, but only for use in traveling to and from North Korea. Many observers have pointed out that China’s implementation of the sanctions will make or break their overall effectiveness, for the simple reason that China accounts for nearly all of North Korea’s foreign trade. Trade data from the South Korean Trade-Investment Promotion Agency, analyzed by Ruediger Frank for 38 North, reveals that China accounts for a staggering 90 percent of North Korea’s foreign trade. In 2014, Pyongyang’s trade with China comprised nearly $7 billion out of an estimated total of $7.6 billion in total North Korean foreign trade. Of that $7 billion, roughly $3 billion was in North Korean exports to China, with coal, iron ore, and petroleum among the top exports. According to Yonhap, in January 2016, Chinese imports of North Korean mineral resources were worth $76.9 million. That helps drive home how impactful the recent restrictions on these imports could be. But the truth is that, even if China’s top leadership is committed to carrying UNSC sanctions out to the letter, it might not be enough. Implementing top orders at the local level has long been a struggle in China, thanks in part to pervasive corruption. Witness, for example, the flouting of restrictions on public safety resulting in deadly accidents in Tianjin and Shenzhen last year. In both cases, policies and procedures from higher up were simply ignored in favor of bribes and personal connections. In other words, even if China has the political will to bring the hammer down on Pyongyang – and that’s far from certain, given how important stability in North Korea is for Beijing – it may not have the bureaucratic capacity to do so. China is tightening trade restrictions on North Korea after the latest round of UN sanctions.